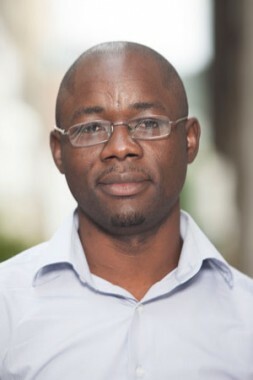 Saint Expedit lhamann Ondzongo is a Peer Educator for the Refugee Health and Rights project. He started working for Sonke as a volunteer in 2009 with refugee and migrant communities in Cape Town. Saint Expedit is a qualified teacher and he worked extensively in Congo Brazzaville as a French Teacher before moving to South Africa in July 2009. He also volunteered for Health for Men where he was responsible for French and Lingala translations to HIV positive clients. Expedit has extensive skills and knowledge on HIV and AIDS, community mobilisation and facilitation particularly working with communities and men in ending gender-based violence and discrimination against people living positively with HIV and AIDS. Saint Expedit is a passionate gender and human rights activist committed to moulding new male role models who respect women and children with dignity.